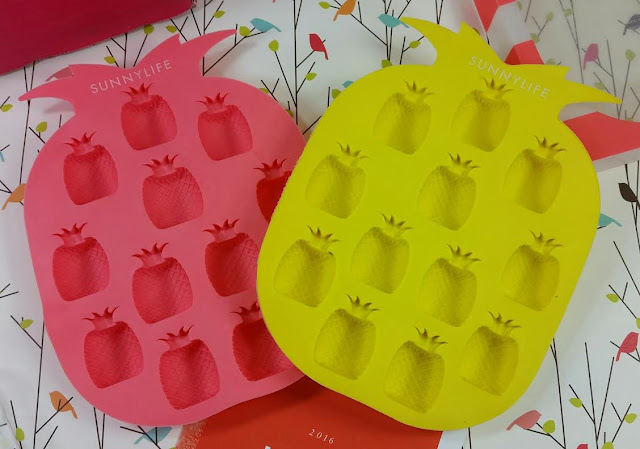 SunnyLife Pineapple Ice Tray - This is a silicon mold that is for ice cubes but I'll tell you right now I'm using it for soap. Little pineapple soaps would be adorable!! They'd also be good if you like to make chocolates or candies, too. 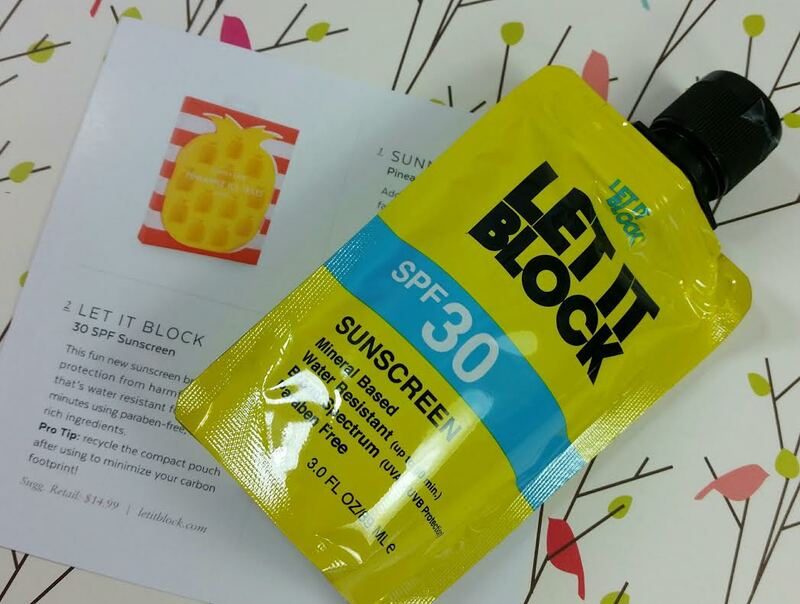 Let It Block 30 SPF Sunscreen- Formulated zinc oxide and titanium dioxide, this sunscreens protect against both UVA and UVB rays and provide water-resistant protection for up to 80 minutes. Key ingredients include aloe vera, blueberry extract and a whole host of other plant oils and extracts like cranberry, grape seed, kiwi, strawberry, hemp and goji, which are full of nutrients, antioxidants and vitamins that combat unwanted free radicals, fight against pre mature skin aging and guard against harmful UV rays. VERDICT: I'm not going to lie. This box was pretty boring. I got a survey via email that asked for opinions on the box and I gave them. I absolutely think that having a lower cost box option is great. However, I also think it should have at least three items. And for heaven's sake, DON'T put something as boring as sunscreen in a box with only two items!! The molds are cute and the sunscreen is useful, sure, but if this is the only box someone gets? Sunscreen? Really? 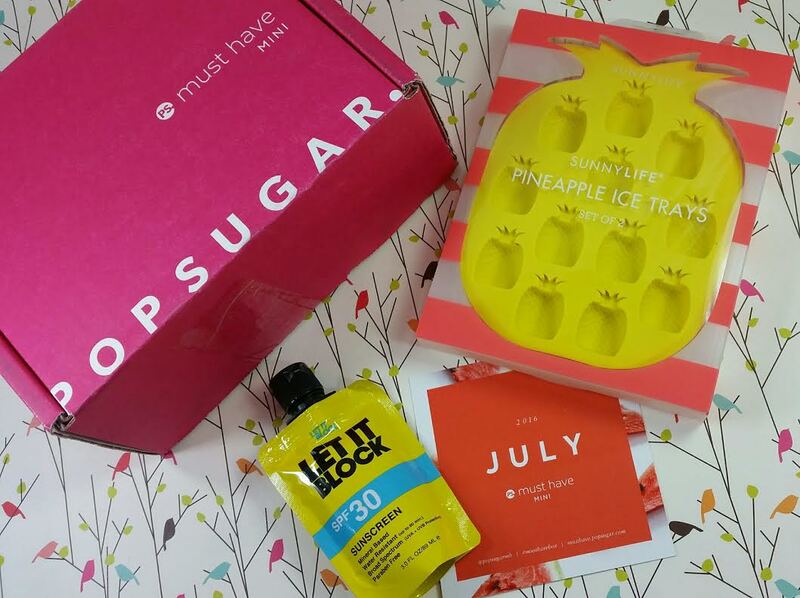 If you're thinking you want to spend the $20 to get a Popsugar Mini, my suggestion is save the $20 for two months and get one month of the regular box. You'll get more items and a much better value considering it will have at least six items and the value is regularly over $100. If you would like to sign up for Popsugar, either the Mini or the Regular version, you can do that here. Use code MUSTHAVE5 for $5 off the Regular version. There's no discount currently for the Mini size.